In this guide, ‘sustainable’ is defined as development that “meets the needs of the present without compromising the ability of future generations to meet their own needs”. Sustainable cotton is therefore grown in a way that can maintain levels of production with minimal environmental impact, can support viable producer livelihoods and communities, and can do so in the face of long-term ecological constraints and socioeconomic pressures. Sustainability standards and certification schemes aim to address the issues associated with unsustainable cotton production. They provide guidance to farmers on sustainable practices and give assurance to buyers that they meet certain requirements. Sourcing cotton produced according to a sustainable standard or certification is a good first step for companies to take to improve the sustainability of the cotton they procure. While each sustainable cotton standard is different, sourcing cotton from one or more sustainable standard can have significant environmental, social and economic benefits. 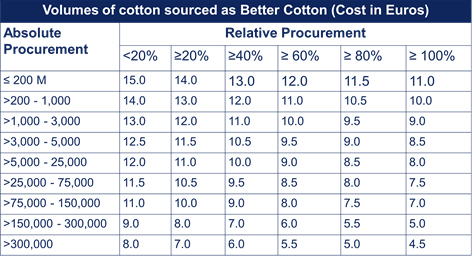 Reducing poverty for cotton farmers and workers on cotton farms through higher yields. Addressing each of these issues is critical for the long-term viability and sustainability of the industry. 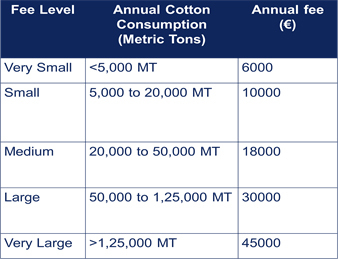 Understanding the different sustainable cotton standards and other programmes, what they focus on, and their commonalities and differences is a vital first step for any company wishing to source more sustainable cotton. This guide provides information on those that are leading the way in sustainable cultivation practices and recognition by stakeholders.